Yes, we recently ran an offer for the Chablis carpet in the ITC Campeone collection and this proved so popular, such is the demand for faux silk carpets, we thought we’d offer our customers another. This time, we have the Cannes carpet in the Campeone collection discounted for the month. 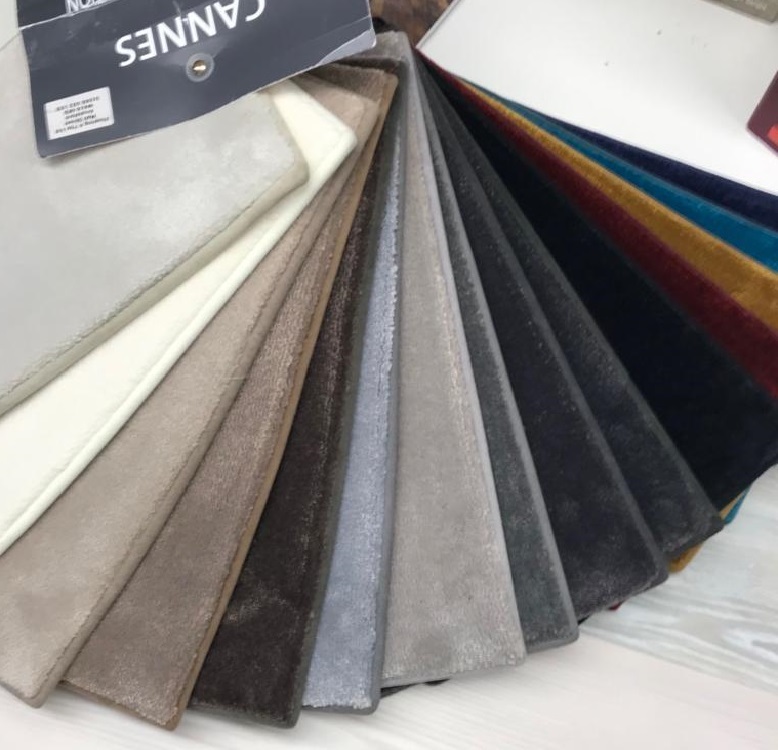 As carpets go, this is decadent, softness personified and throughout April, is reduced to £59.99m2 when ordered from Flooring 4 You Ltd. We usually sell this carpet for £69.99m2, so the £10m2 saving will help go a long way. As we’ve mentioned previously, ITC Natural Luxury carpets are hard to come by across the Cheshire region, with only exclusive retailers like ourselves able to supply and fit them. If you’ve never heard of ITC products and you’d like to see and feel the softness for yourself, head to our Knutsford or Bowdon showrooms to see samples. Showing: Samples of the ITC Natural Luxury Fooring Cannes collection - on special offer with Flooring 4 You throughout April 2019. Renowned throughout Europe for their hand-woven luxury carpets and rugs, ITC are a Dutch company who have been in the business since 1968 and lead the way in crafting stylish yet practical floorcoverings. Popular with interior designers and architects, you need only mention ITC and they’ll know the name. Such is the quality of ITC’s extensive portfolio, they can be found across the world in yachts, hotels, offices and of course, residential homes. Showing: The elegance and softness of the ITC Cannes carpet. Yes, as glamorous as its name sounds – think the luxury of the French Riviera, Cannes is a high-quality nylon carpet that looks and feels like pure silk. It’s thicker than the Chablis carpet we had reduced back in February, with Cannes you can expect a deep pile weight of 1.85kg. What’s great about the carpet is, as much as it exudes luxury and looks fantastic, it’s incredibly practical thanks to its long-lasting, non-shedding, stain and water-resistant properties. In fact, Cannes is ideal for any space throughout the home and comes with a heavy domestic classification. There’s a great choice of colours in the Cannes collection – approximately 21 overall. If you want a neutral light shade for a modern space, then Elephant, Chalk or French Gray are ideal. But if you want rich colours to make a statement, then you must see Ochre, Marsala or Petrol. Showing: Cannes luxury nylon carpet in a modern grey colour, perfect for contemporary rooms throughout the home. You can get the stunning ITC Cannes carpet for your home at the discounted price of £59.99m2 by contacting us today for a free estimate for your home. If you’re not quite ready for a new carpet but would like to take advantage of the offer, you can secure your order at the discounted price. Book a free estimate with us during April 2019 then on receipt of our quotation, simply pay the deposit to secure your order. We can arrange installation at a date and time to suit you, even if it’s after April. Alternatively, we can supply and arrange shipping of the carpet if you prefer another installer to fit it in your space. Contact us for more information. To arrange your free estimate for the luxury Cannes carpet, get in touch with us here. Or visit one of our flooring showrooms to see the samples before arranging your appointment. This is a fantastic offer for a high-quality, silk-effect carpet that shouldn’t be missed!